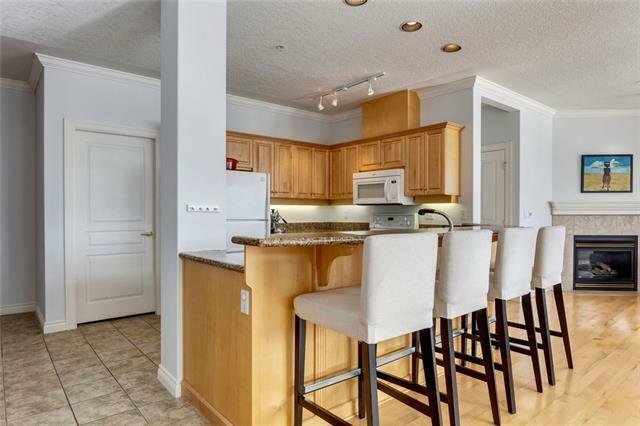 This bright and Sunny South Facing 2 bedroom, 2 bath, 1225 SqFt Condo is located in the prestigious "RIVER GRANDE ESTATES"! Spacious open concept design showcases a Gas fireplace, InFloor heating, Granite counters, an abundance of Cabinetry and a raised eating bar. South facing balcony is perfect for barbecuing and outdoor entertaining. 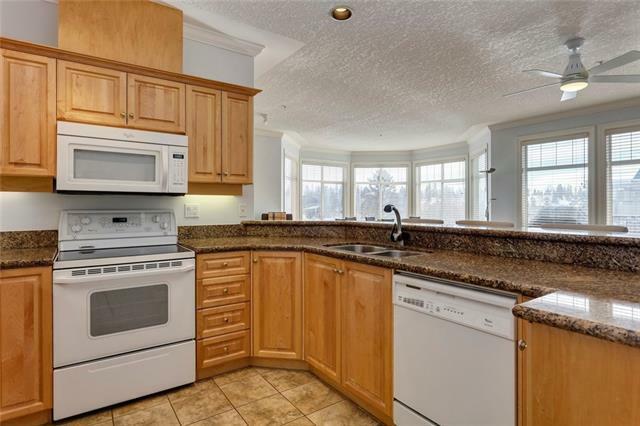 You'll absolutely love the natural Sunlight in this home from the large and numerous windows throughout this corner unit. 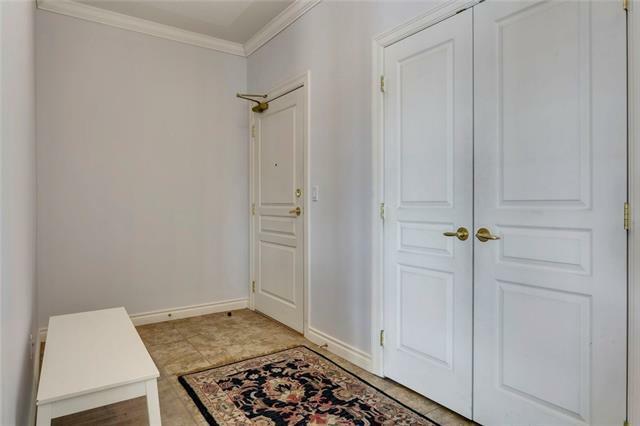 Th convenience of condo living without sacrificing space or storage with a secure (enclosed) two car garage including custom built shelves is a bonus. Located adjacent to the Repsol Centre, Elbow River pathways, LRT, 4th St. Shopping, Restaurants, etc. 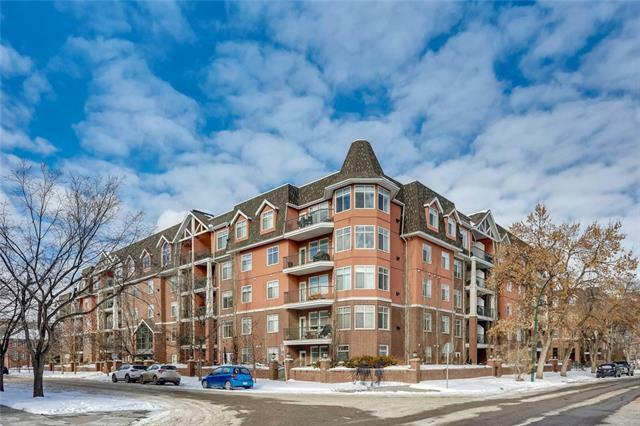 Fully secured complex includes impressive amenities including a billiards room, library, entertainment area, media room, as well as heated underground visitor parking, 2 car washes and bike storage. Rare to find all these features, so call today!